In the face of a changing and dangerous world, the reserve components of the Army (Army National Guard and U.S. Army Reserve) are achieving higher levels of readiness than ever before, senior leaders said at the Association of the U.S. Army’s Hot Topic forum on Army Installation Management. “Today, some 30 percent of Army Reserve forces are charged with maintaining a higher level of peacetime readiness to offset the risk to the nation,” said Stephen Austin, assistant chief of Army Reserve. This contingent, known as Ready Force X, is comprised of roughly 600 units of all types, and must be ready to deploy within 90 days. The units are split into four categories, Austin said: a “fight fast” force (0-60 days), an “operational depth” force (61-90 days), and “strategic depth” forces that, if needed, will deploy beyond 120 days. The challenge, Austin said, is to connect all of the geographically dispersed units to training resources. That’s where resilience comes in, he said. “To increase the capability and capacity of our infrastructure, and enable mission resilience, we have to develop sustainable infrastructure – both resource- and energy-efficient,” Austin said. In fiscal year ‘16, the Army Reserve reduced energy use by almost 18 percent, he said. That translated to about seven million dollars in savings – money that could instead be used for training and readiness. Lt. Gen. Timothy Kadavy, director of the Army National Guard, said that the Guard’s current model is about sharing soldiers with families and communities. “The Army National Guard is a dual mission organization; we support both the nation and the states,” Kadavy said. 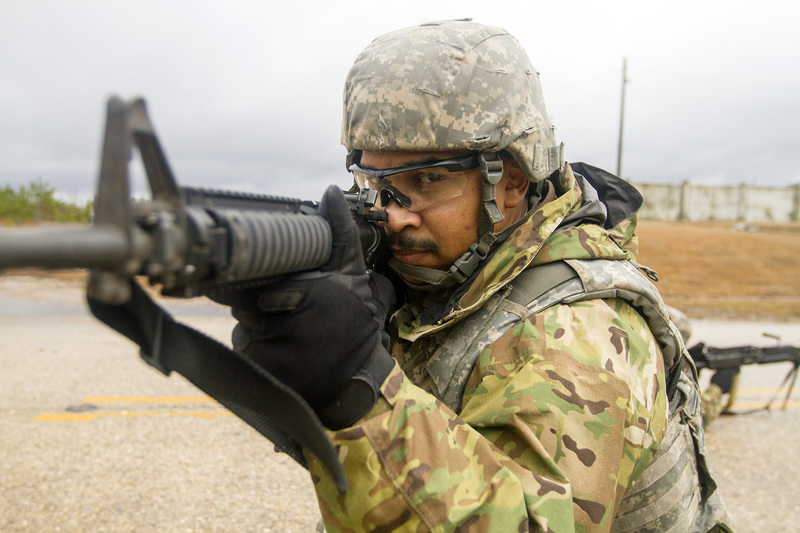 Currently, 343,500 soldiers make up the Guard, and they drill monthly at 2,312 readiness centers across all U.S. states and territories, he said. Of those centers, nearly 2,000 are state-owned. “Our readiness centers provide administrative, logistic, and training space for Army National Guard units. They are considered critical infrastructure by our adjutant-generals and the chief of the National Guard Bureau,” Kadavy said. Problems stem from the age of most readiness centers, which averages at over 40 years, he said. Additionally, decades of changing demographics have altered where the Guard recruits and where Guard soldiers serve. “The end result is that many of our readiness centers are not geographically aligned or are functionally obsolete,” Kadavy said. In 2015, the Readiness Center Transformation Plan was released to Congress, he said. During development of the plan, the Guard worked closely with each state to consider unique geography, topography, and population. The biggest lesson learned, Kadavy said, was the importance of partnership and collaboration. Each state adjutant general and governor balanced their state capabilities, characteristics and resources against the overarching goal to provide the Guard with trained and ready soldiers. “The resulting readiness center plan aligned inventory with both the state and federal mission requirements, enhancing the Army National Guard’s ability to perform its dual mission,” Kadavy said.